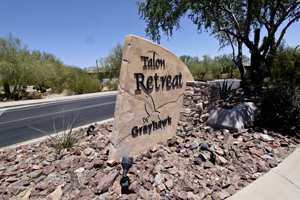 Search Grayhawk real estate and find a home in the foothills of the McDowell Mountains. Enjoy the natural beauty of the mountains, as well as all the amenities of Scottsdale. Grayhawk homes encompass a variety of architectural styles, while maintaining an overall design unity. Choose from elegant Spanish-style villas or re-imagined adobe homes. 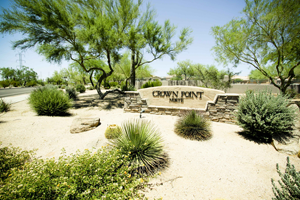 Grayhawk homes have been built with community in mind. There are many miles of trails, where residents can meet while biking, hiking, or jogging. Pocket parks and covered picnic areas dot the landscape. Kids and parents alike enjoy the open spaces and playgrounds of the community. Golf afficianados especially should search Grayhawk real estate. 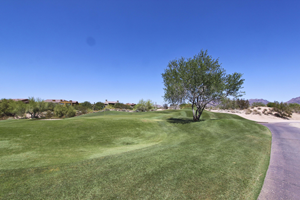 The Grayhawk Golf Club offers residents affordable access to the beautiful golf course. 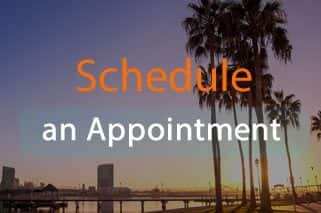 In addition to all the wonderful opportunities for fun outdoors, the community hosts a number of events throughout the year. The BBQ and Movie Night brings everyone together for good food, a fun movie, as well as volleyball and bounce houses. 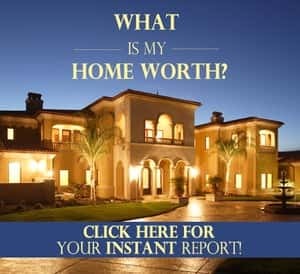 Grayhawk real estate is a great investment for raising a family. Grayhawk Plaza Shopping Center offers residents of Grayhawk homes easy access to necessary amenities, without having to drive a long way. Get a quick burrito at Chipotle while waiting for a prescription at Walgreen’s. Grayhawk is centrally located in Scottsdale, so you’ll never feel stuck in the middle of nowhere, even with the desert right out your window.